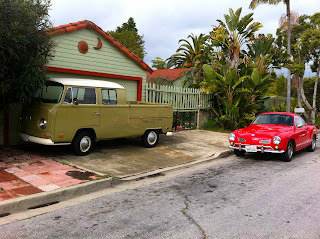 Yet another VW Doka, this one a bay window version, paired with a Karmann Ghia and found in an Oceanside neighborhood. Lots of oil stains on the driveway and street. 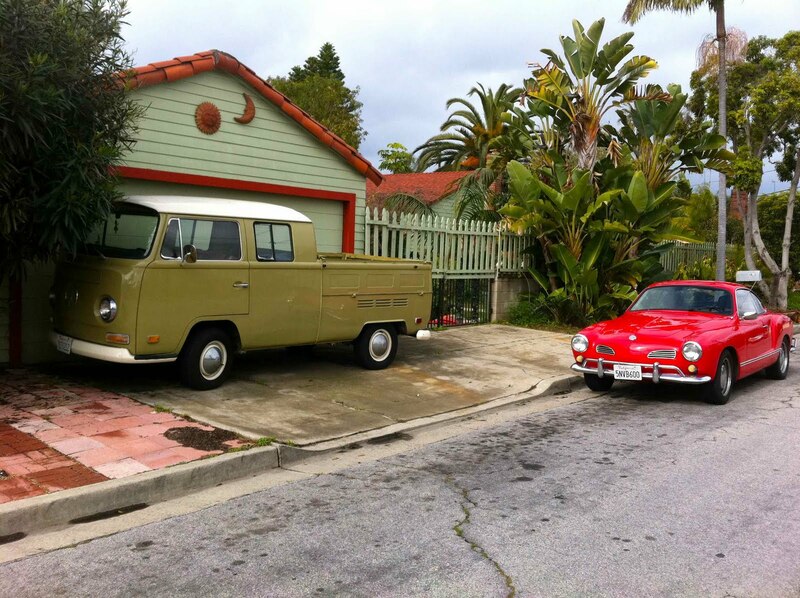 These old 'Dubs have certainly been marking their territory.